‘we will more or less become what China is today and that will make us the fourth largest or maybe even third economy in the world’. The answer to this question is so dynamic that even if you ask the same person each day, his answer will keep on changing. The world’s two fastest growing economies have now become the biggest investment homes. China is growing at so rapid rate that at present the proportion of people in poverty are diminishing and a new generation middle class is formed. The point I want to make is not only related to China’s growth story but the Government there, which is so proactive that it is continuously implementing new policies, investments and right international strategies trying to beat the expectations. What have been key factors for India’s promising future? The age dependency factor is declining, i.e. The proportion of children and elderly people as compared to entire population is declining. So the working age population is growing faster than dependent and hence there’s structural rise in domestic savings. The trend of increasing rate of government’s investment in infrastructure will boost the access for our demographic dividend. This has improved the utilization of working-age population, a key resource. The third crucial one is the steady rise in exports to GDP and capital inflows to GDP has also helped accelerate the pace of growth. How is China a threat to India? China is today a huge military power and befriending India’s biggest threat (Pakistan) is itself an attack to India. China is actively participating in the affairs of India’s neighboring countries (Nepal, Bhutan). And Yes, China is eyeing Arunachal Pradesh since many years claiming it to be its own territory. Chinese companies such as Huawei and ZTE have now gained a 15 per cent share in the Indian telecom market as their equipment is priced 30 to 40 per cent cheaper than their Western rivals Ericsson, Alcatel- Lucent and Nokia Siemens Networks. They’re winning contracts with Indian Telcos like Tata and Reliance. The scare created by Chinese hackers targeting computer systems in India’s security establishments has only added to the security concerns. Leading Chinese companies such as Dongfang Electric and Shanghai Electric have been the major beneficiaries and have been allowed to compete openly with India’s BHEL. The oil exploration and production sector is another field in which Chinese companies have been allowed to take up contracts. Our Government should take a diplomatic stance on these issues and ensure that the trade between two giants is harmonious. India should simultaneously look at internal problems in Education, Healthcare, and security threats like Naxalism. With right strategies and policies, Will India be able to bridge the gap between these two Asian tigers? Only time will be able to answer this. Your views? "Can India Beat China? ", 5 out of 5 based on 1 ratings. Being Indian and Having been to China many times, I can Tell you that the Chinese are surprised that Indians keep comparing themselves with China. To anyone who has travelled to China and India it would be obvious that India is way behind China even in basic things like drivable roads and drinking water. The talk about both countries competing is absurd to say the least. Chinese people hardly consider India a threat in anything so it is surprising to see hatred on the Indian side all the time. It’s the same with the irratinal Chinese hatred for the Japanese. 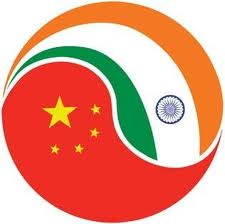 Both India and China should try to solve the border issue and work with each other as friends, not enemies. yeah i was exited the first time I heard that India compares every thing with us. because India is so weak at all,the most serious problem is the slums and the poor. the Fire truck cannot go into the slum~! that means if the slums are on fire,there would be ten thousands people die~! think about that. I have beening following Indian people’s comments on news invovling China for serveral months. There are serveral Chinese websites updating news from the Indian media, along with Indian people’s comments. I was suprised that many Indians hate China so much and they think Chinese people’s livelihood is still poor. And a lot of them think Chinese people have no rights and dignity. Like the Indians think Chinese people must be brainwashed by the government (LOL), I think Indians’ way of thinking is also kidnapped by your own media. The tone they report on China is strange and they make Indian people think democracy is a cure for all kinds of problems. The truth is although Indians always brag about the democracy (western democracy to be precisely), Chinese people know how it is and don’t want it at all. We define our own democracy. Ni shi nali de ren? zhuzai zhongguo ma haishi meiguo? India will be #1 position. Indian people are creative Innovative and Smarter than any work force . Indian Defence is getting stronger. And Will be #1 with in matter of time. India has right people with more IQ and all the Funding. Indian Entertainment Industry will rule the world. China is playing a game right now. This Game will tarnish China’s image in india. If china try to engage with Pakistan and play with internal affairs of india. Time will come India will boycott Chinese products. Already china is loosing goodwill in the hearts and mind of India. 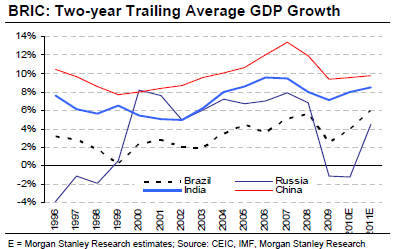 India’s middle class population will not be a big Fan of China any more if this trend goes on. i’m a chinese and i was just back from a trip in india. My experience is that india is at least 20 years behind China. Even the IT software industry which indians are very pround of, in terms of scale and innovation. They are mostly low-tech coding work without any creativity. Being a Chinese and view this subject from Chinese eyes, we do have some boundary conflicts with India. But this should not put us in general hostile positions. ause it is our mutual interest to develop and for all our people to reach the same standard of living as those western countries who used to exploit us. China has followed a more or less a textbook concept of economic development by growing in turn the primary, secondary and third industries. A dictating government suits well to build roads and power plants very rapidly which faciliate the fast growth of manufacturing. However, India has achieved its success in a very creative way. The service sector is by far developed than in China. The threat to this model is how the wealth can be spread to mass majority of population and if there is sufficient revenue to be generated in service industry to support a fast national growth. I travelled to India and appreciate very much the Indian culture. But I feel very sad to see the slums in large cities. I would certainly like to believe Dr. Bhagwati’s confidence. I would also like to think we can get ahead of every other country. Yet, I have a hollow feeling about the manner in which India is trying to reach that achievement. Mere GDP growth is insufficient for me; how about ensuring that all 1.15 billion Indians get food to eat 3 times a day? Further, over 99% of Chinese children attend school for 9 years; this ensures a high level of literacy. Thus, the growth of GDP shared across all social classes. In India, only 60% attend school for such long durations and thus India’s growth comes from higher social classes only; development and growth do NOT reach a large portion of the masses in India! Finally, our strategic policy-makers and media must desist from using rhetoric: what good is ‘largest GDP nation’ tag when half the people cannot even write their own names? Rather than beat China, India is trying to engage in useless soft diplomacy with them by starting to teach Mandarin in India. Really horrible move when more than half the country doesnt even know English.